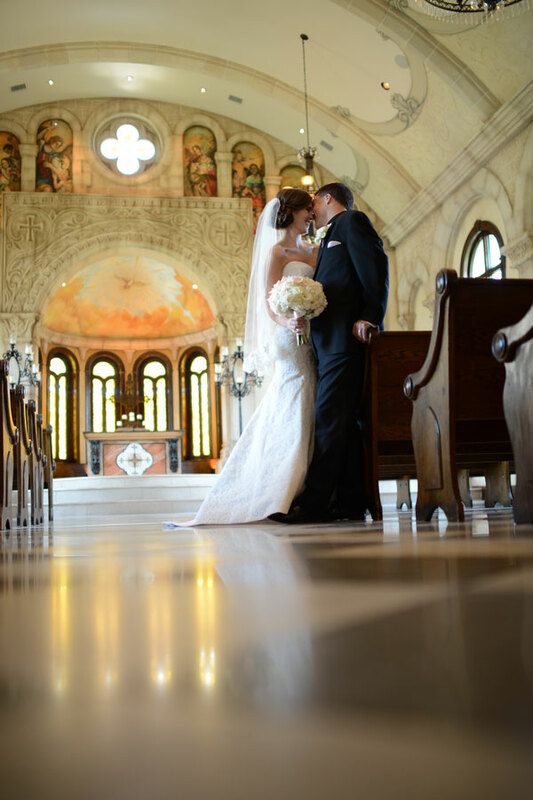 Every now and again a couple does such wonderful due diligence, scoring not one but two stunning venues for their day. 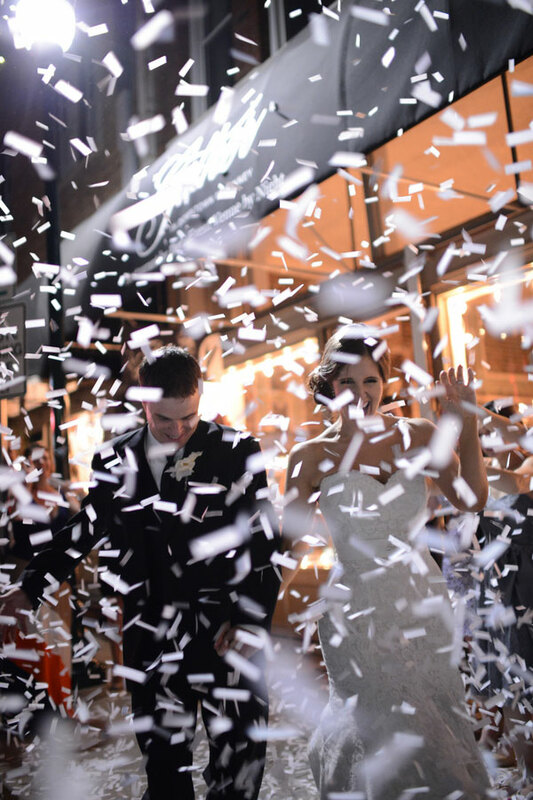 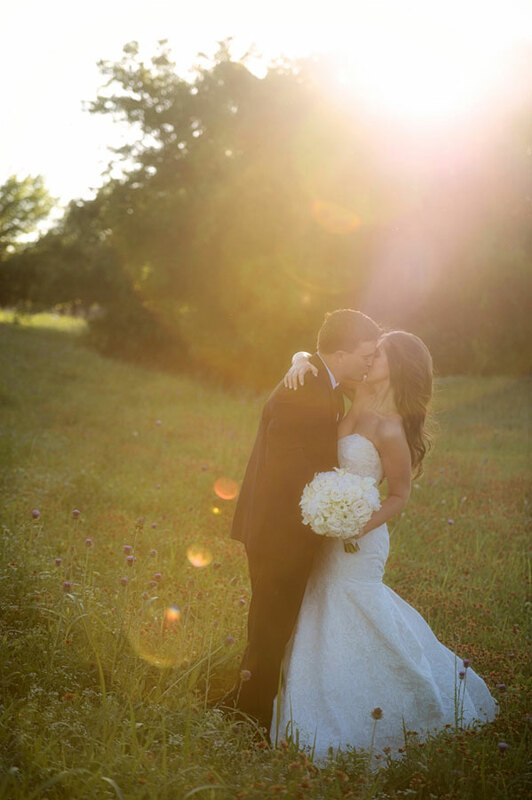 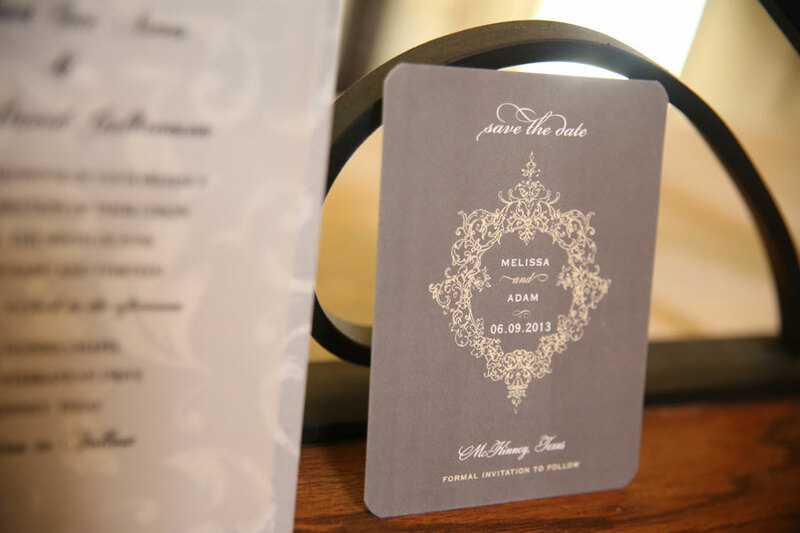 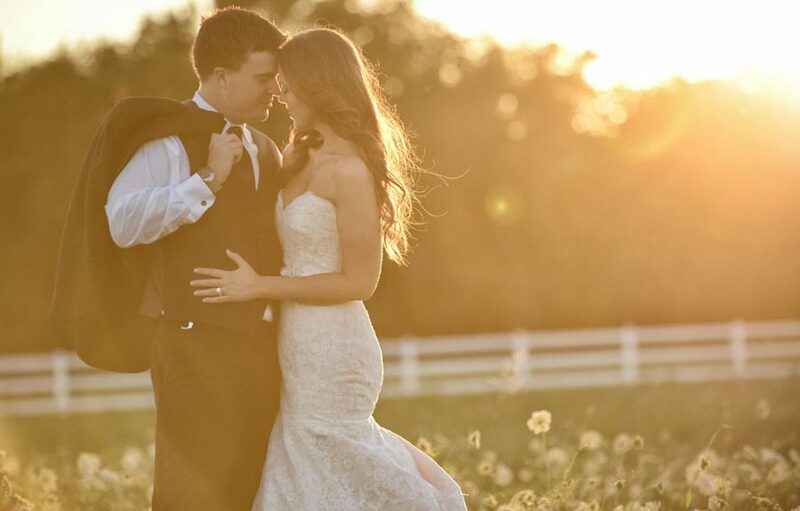 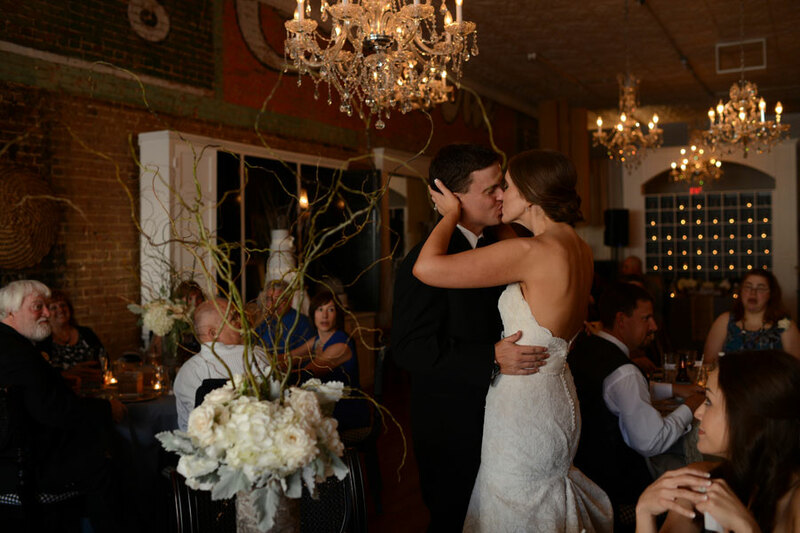 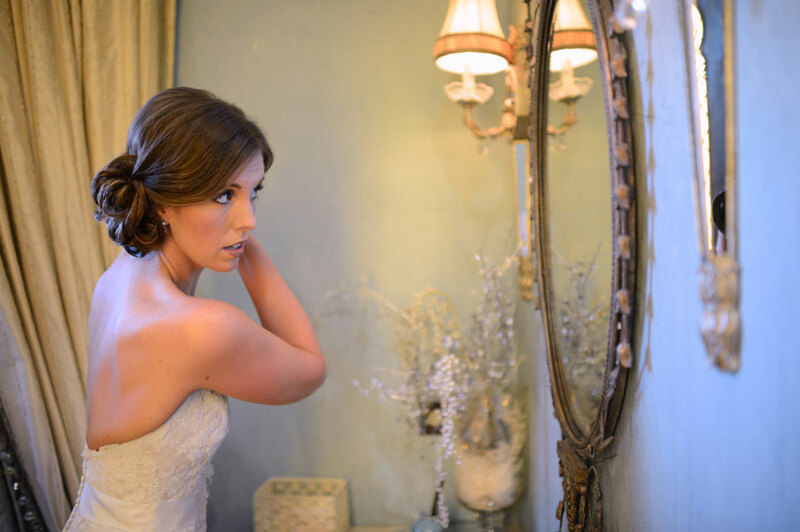 Melissa Armes & Adam Gulbranson hit a wedding home run when they booked Bella Donna Chapel AND Gather – Downtown McKinney. 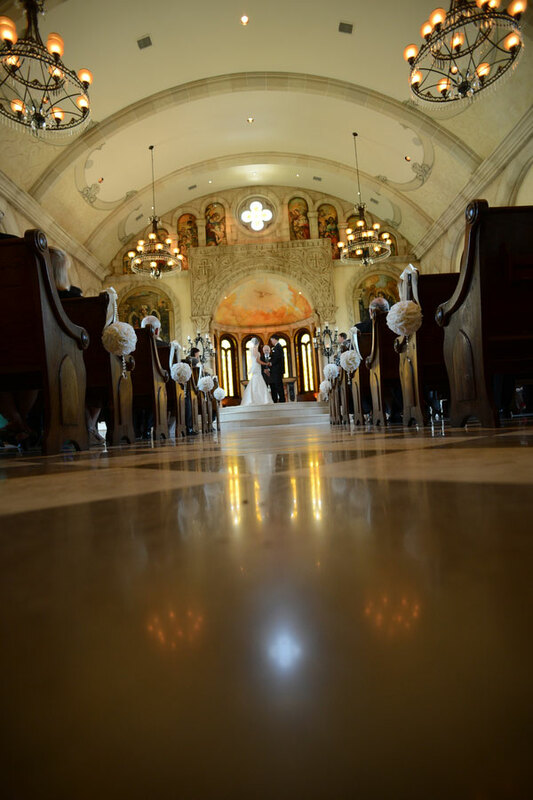 Bella Donna Chapel is perhaps one of the more picturesque settings I have seen for a church wedding in some time. 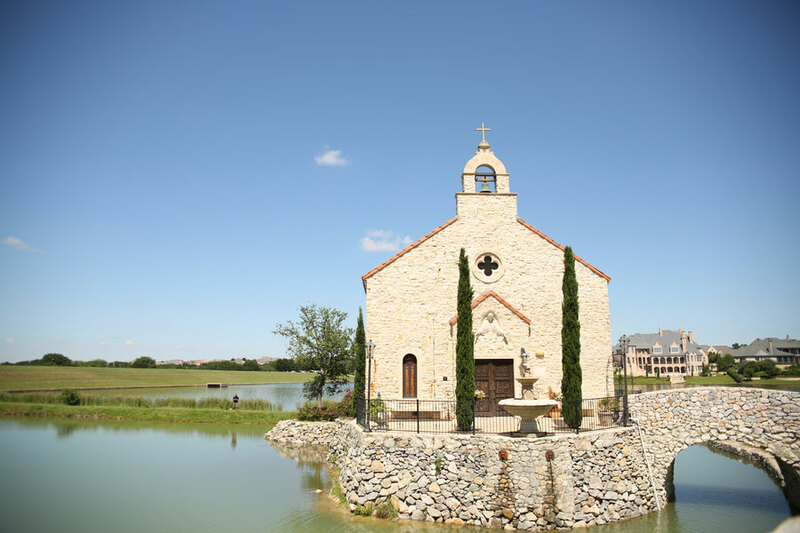 This sweet lil chapel is a on its own little piece of lake, done up in old world Tuscan Roman style and is beyond amazing! 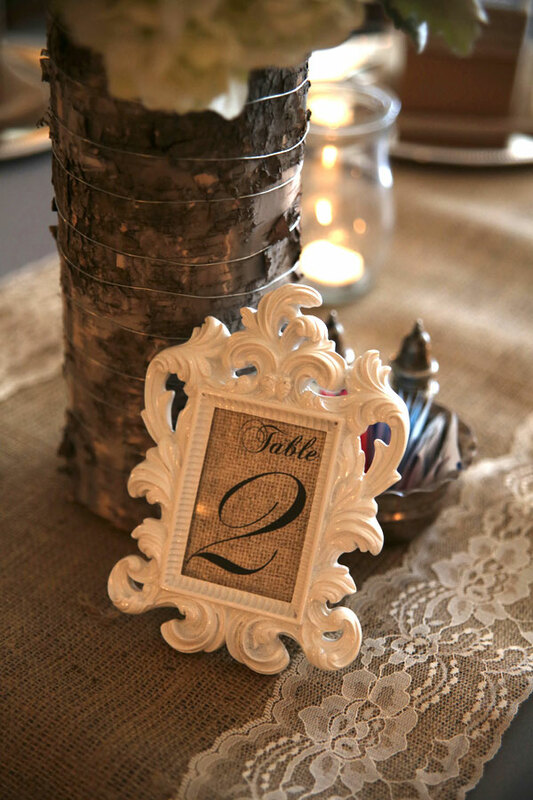 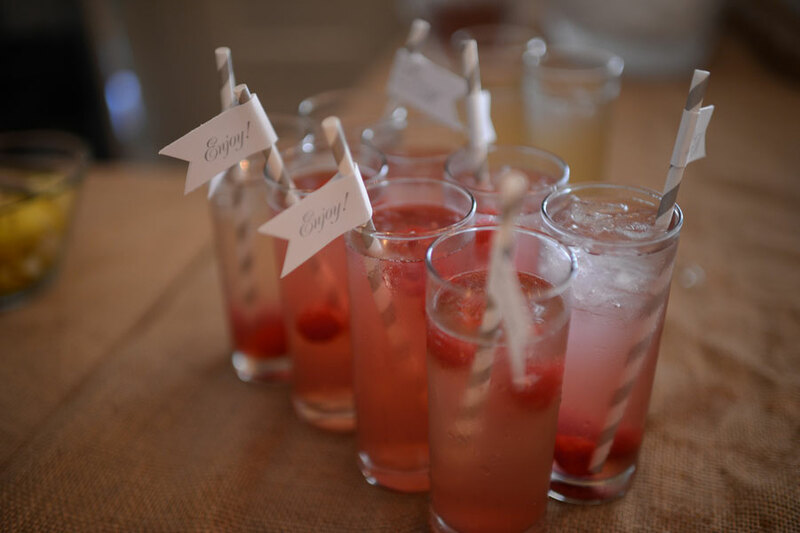 For the reception guests headed to Gather and it is right up my alley design and decor wise! 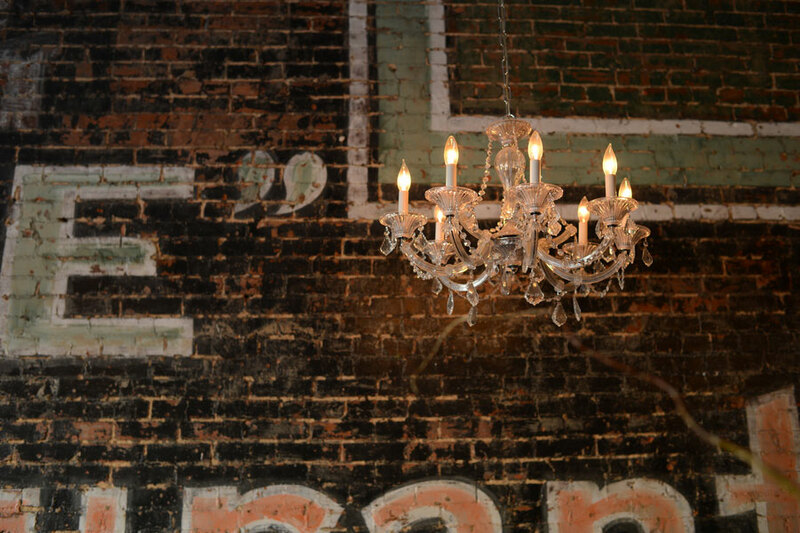 Exposed brick, vintage advertising, organic rustic industrial with a strong vintage vibe, LOVE! 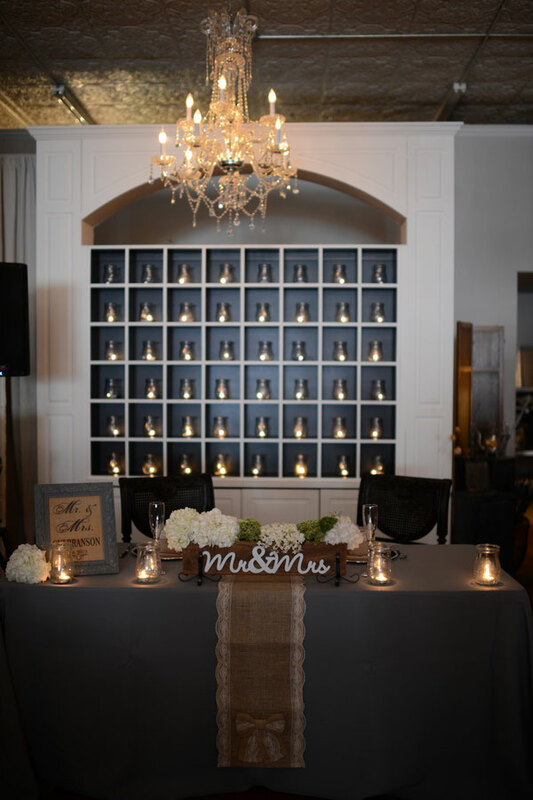 Melissa & Adam knew they had a real dream venue on their hands and wisely only add complimentary touches here and there in the form of burlap table runners trimmed with lace, luscious full cream blooms, and baroque frame table numbers. 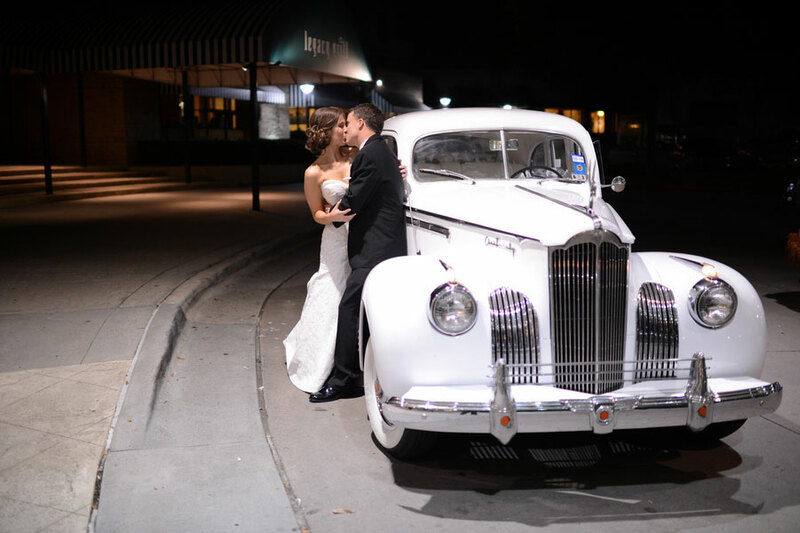 Rounding out the night, our classic couple exited Gather in their own tinker tape parade into one hell of a gorgeous vintage ride! 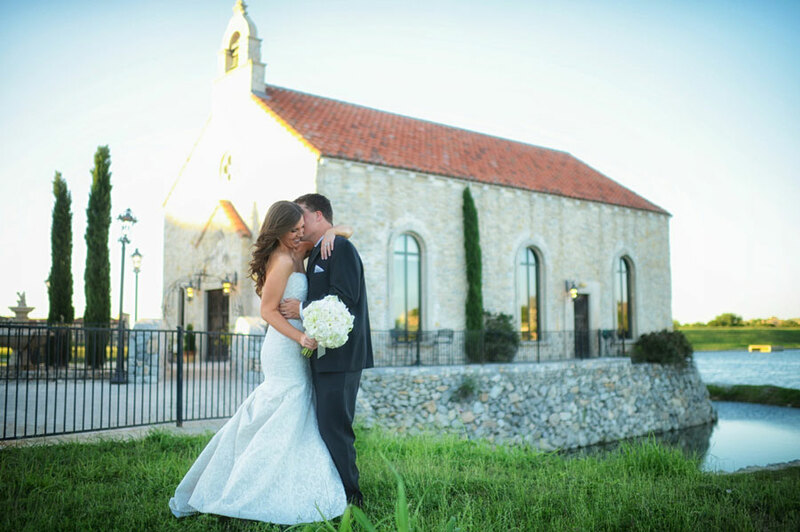 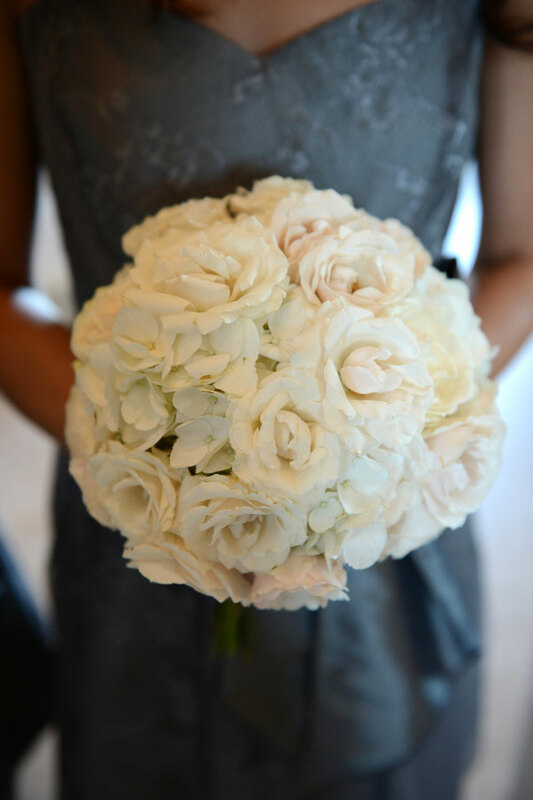 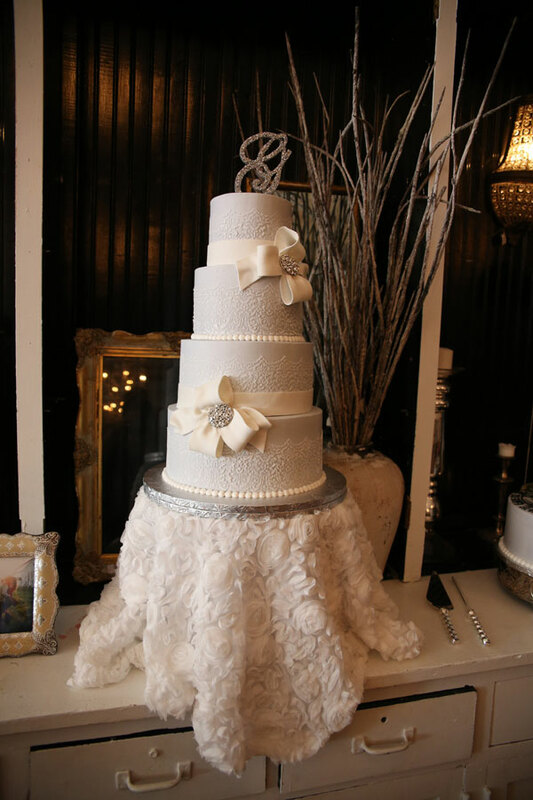 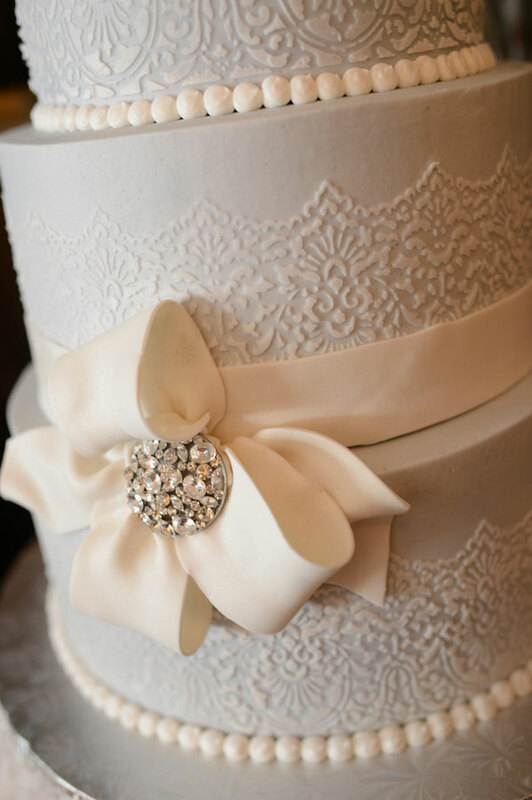 We love how this tradition seeking couple keep things modern & fresh all while being as classic as can be! 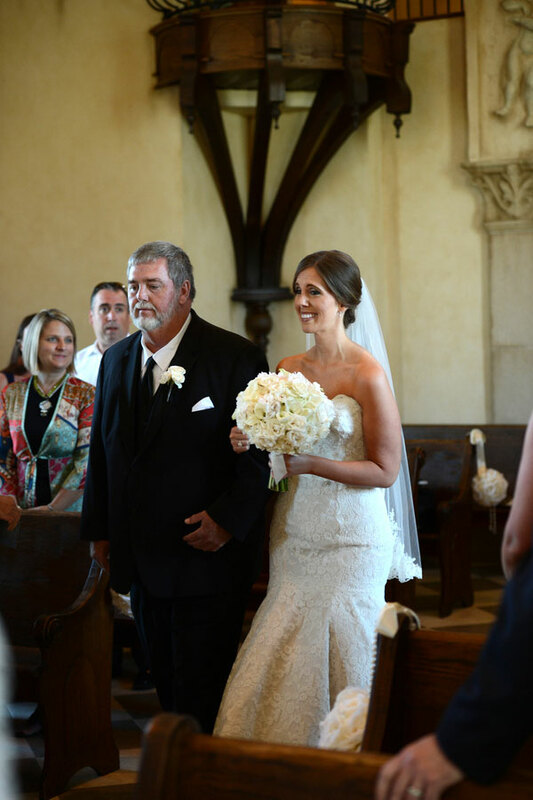 Melissa is born and raised in a small North Texas town and loves spending time with family and friends. 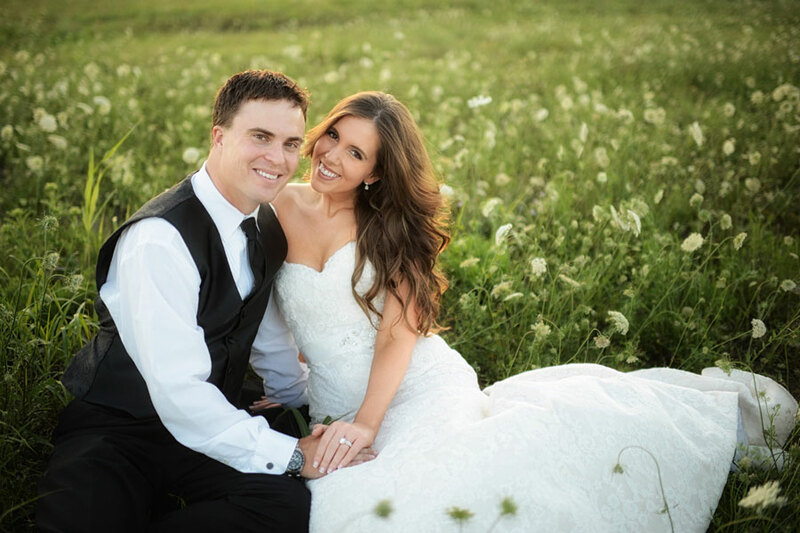 Adam is b orn and raised in rural Northern Minnesota, but decided to move to Texas in order to avoid the harsh northern winters (and so he could play more golf) 🙂 We met at work while we were both working within the same IT department for a bank in Dallas. 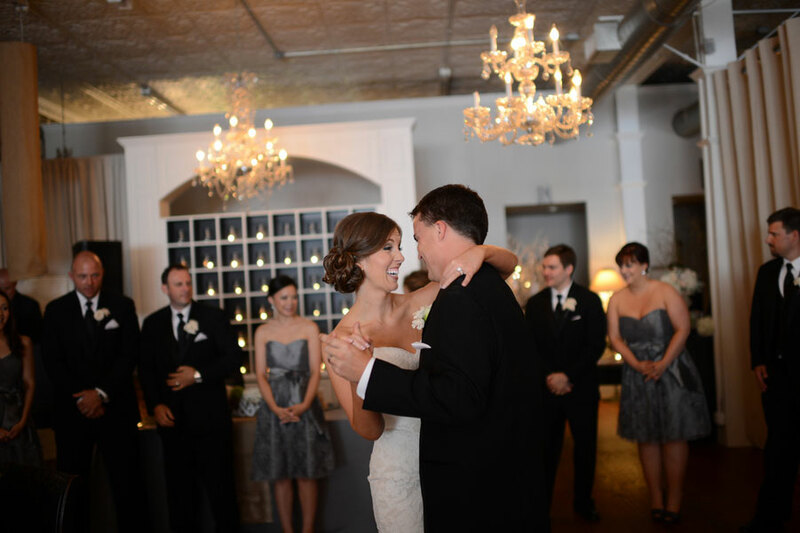 We sat one row over from one another, but were able to successfully keep our relationship a secret from everyone at work for over a year and a half! 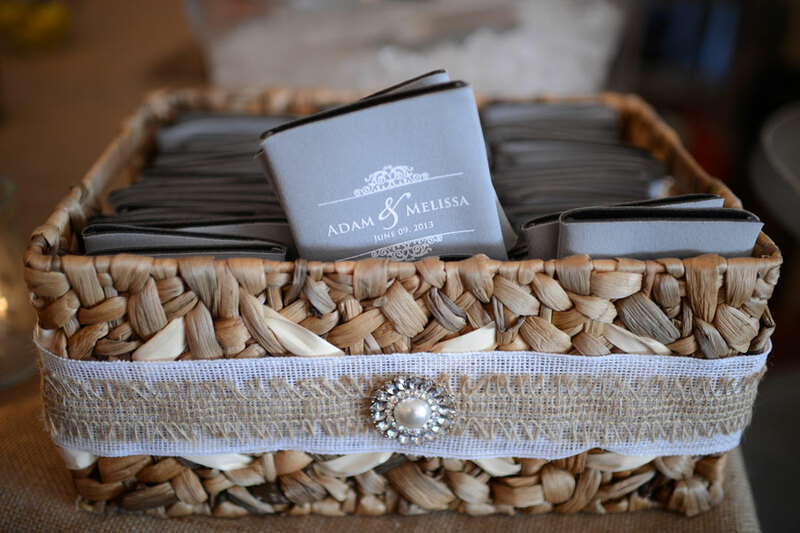 Melissa has more of a serious personality, but Adam is always able to keep her laughing with his witty one-liners! 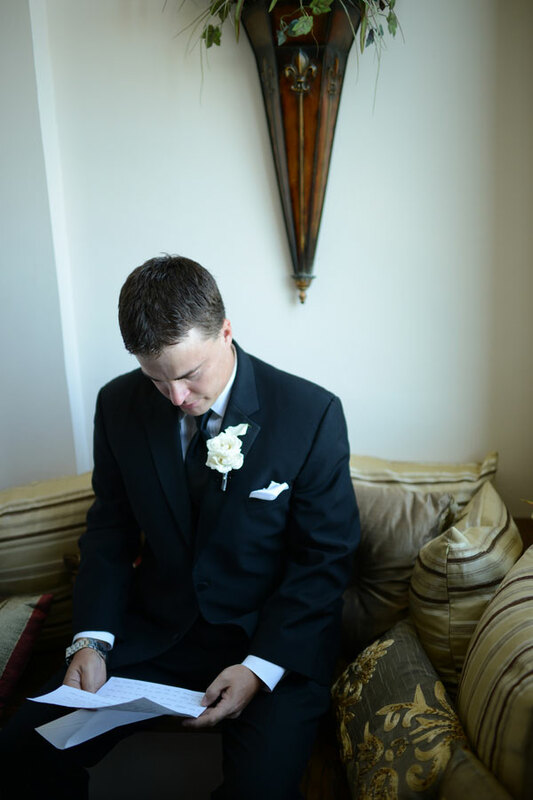 Adam and I both come from very small, country towns. 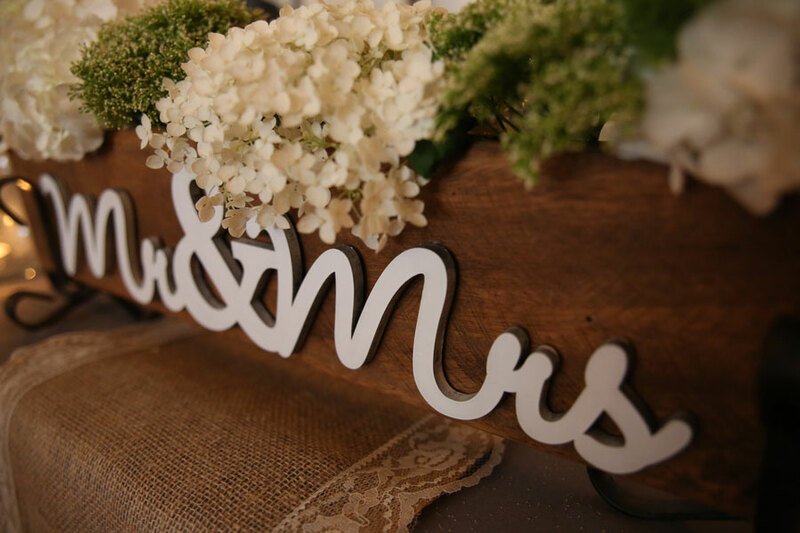 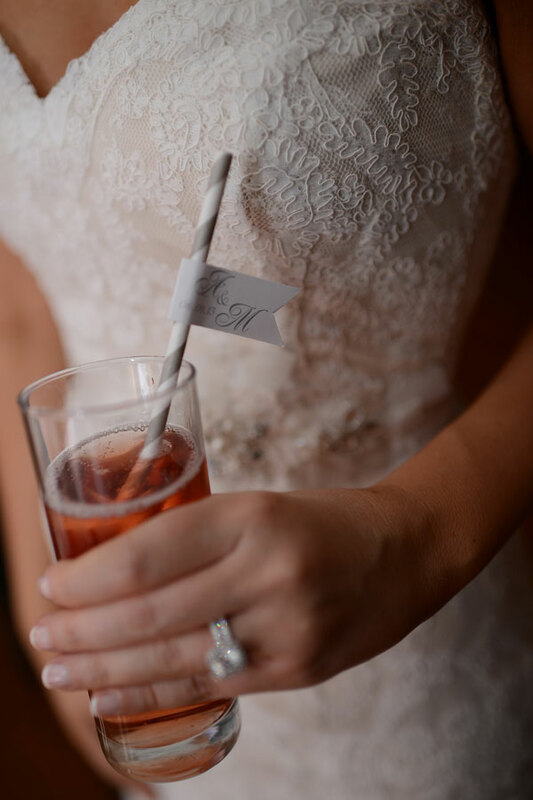 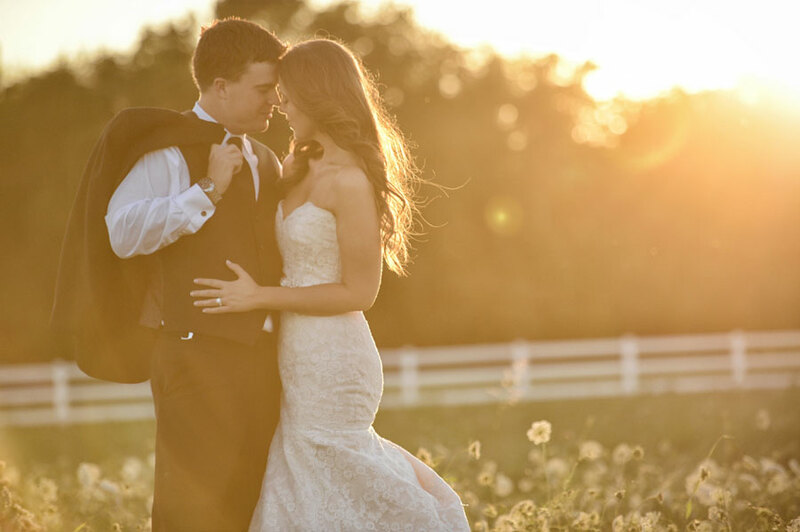 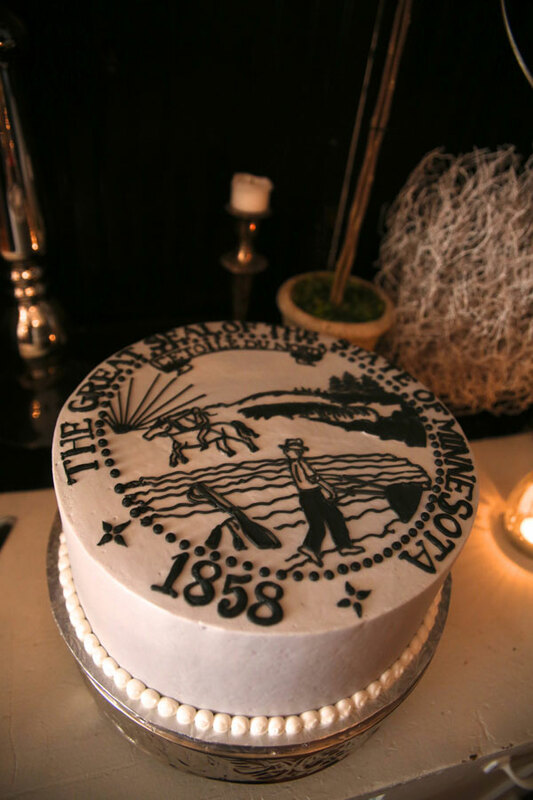 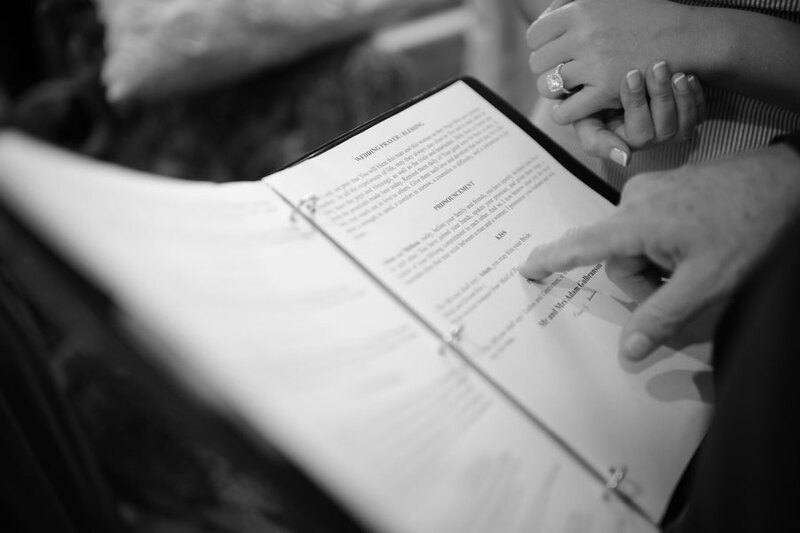 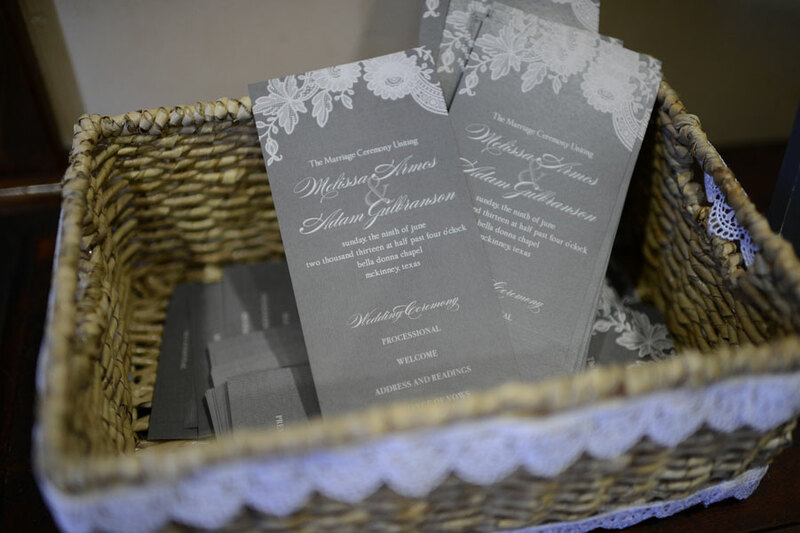 We wanted our wedding to reflect our upbringings – a rustic elegance that was still wedding appropriate, but paid homage to the way we grew up. 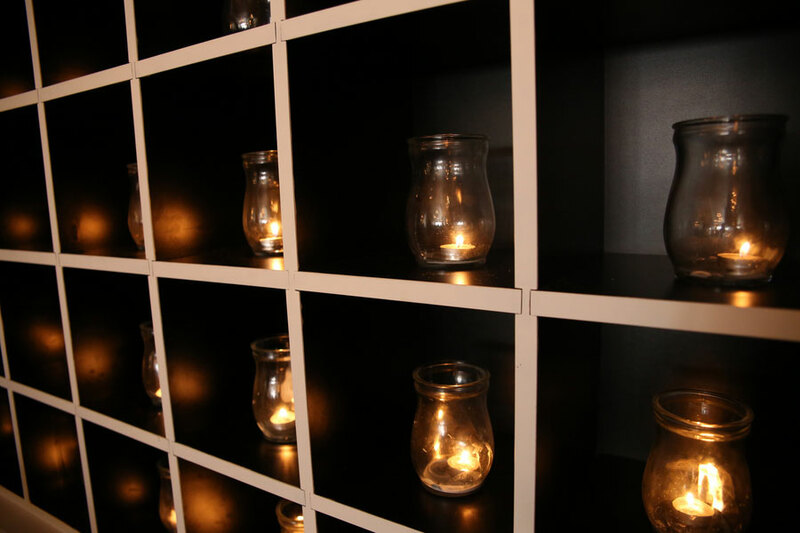 We wanted to create an environment for our guests that was cozy and comfortable, where everyone could truly relax and enjoy themselves. 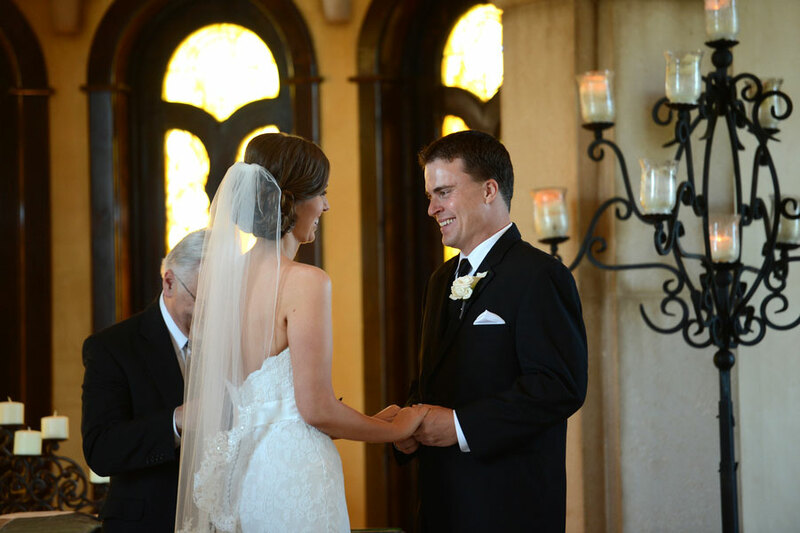 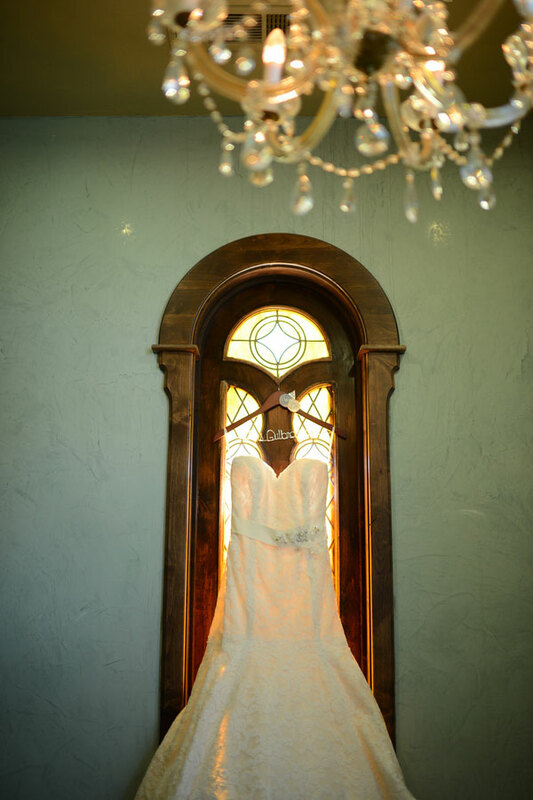 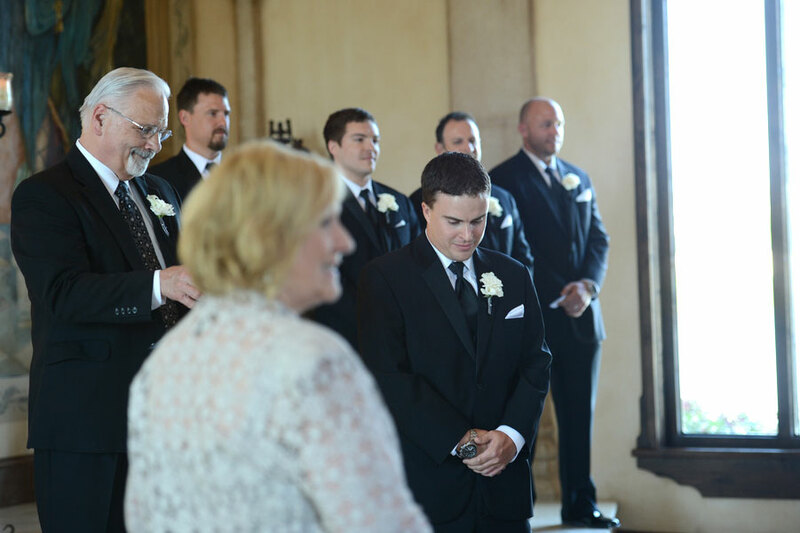 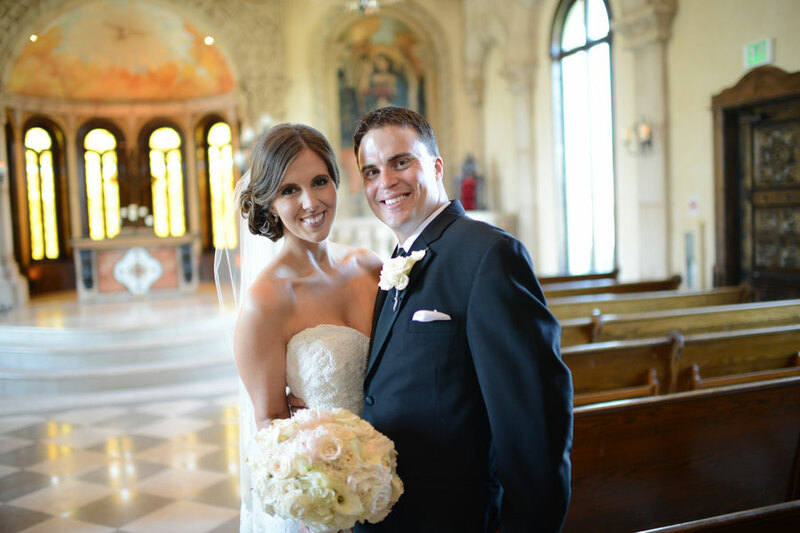 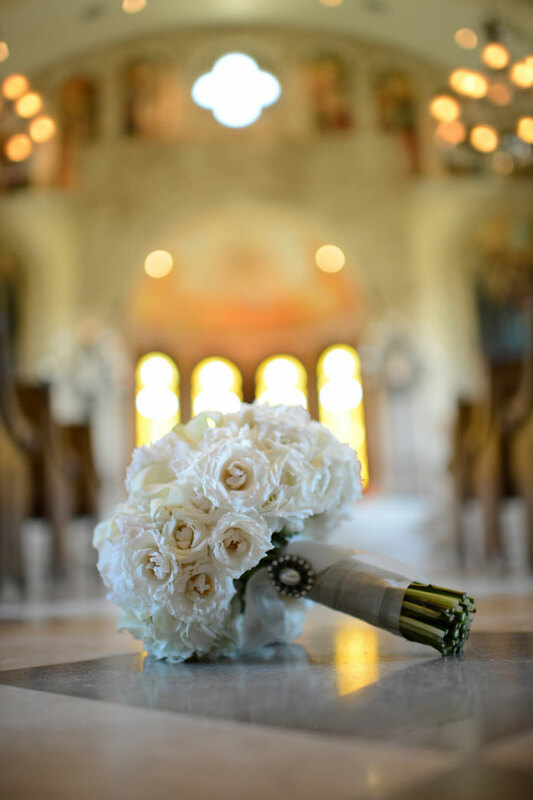 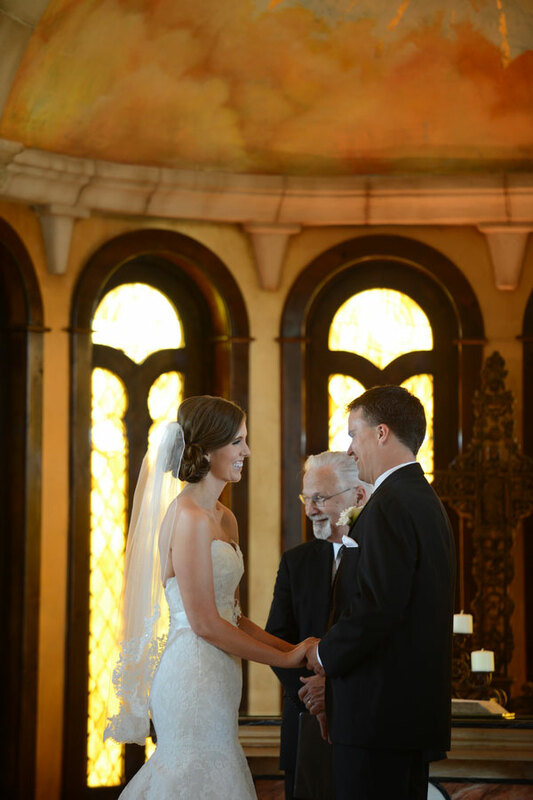 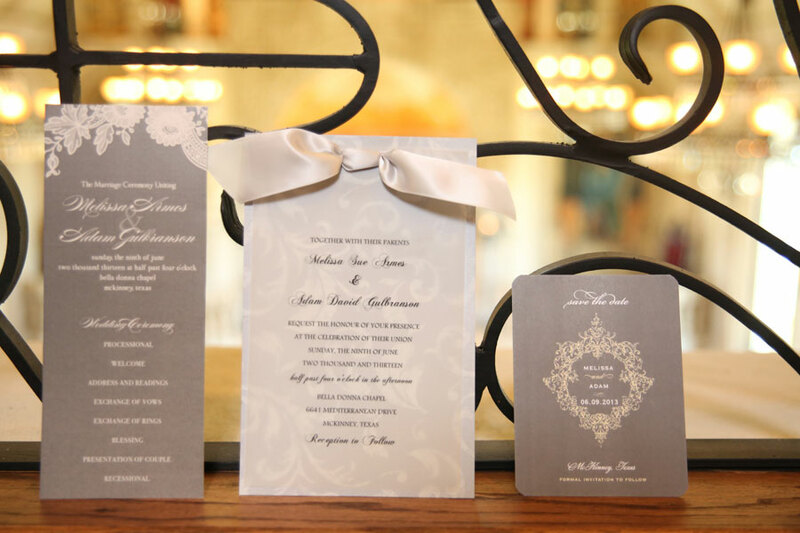 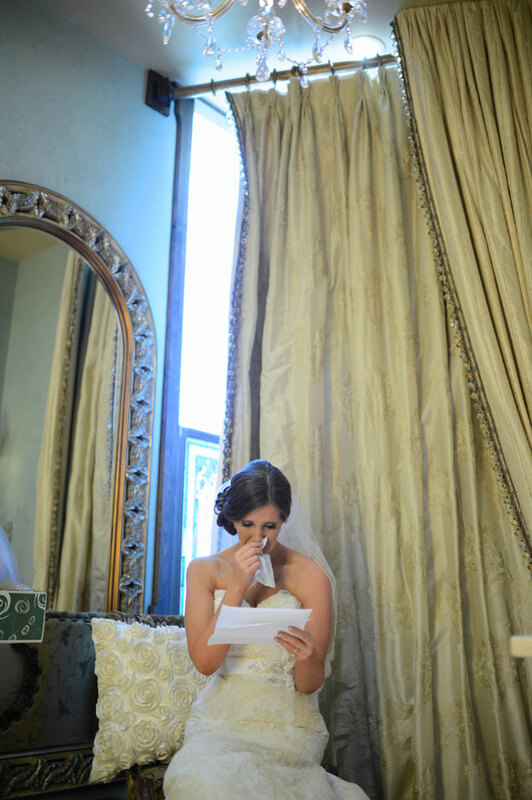 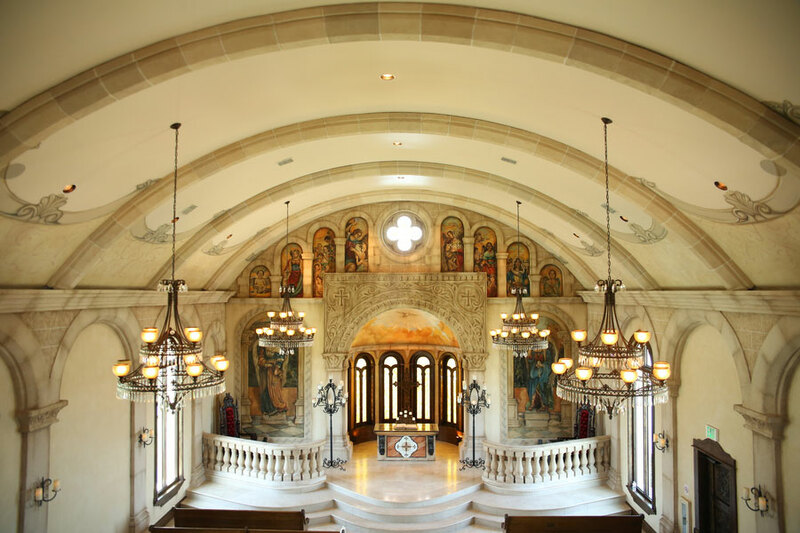 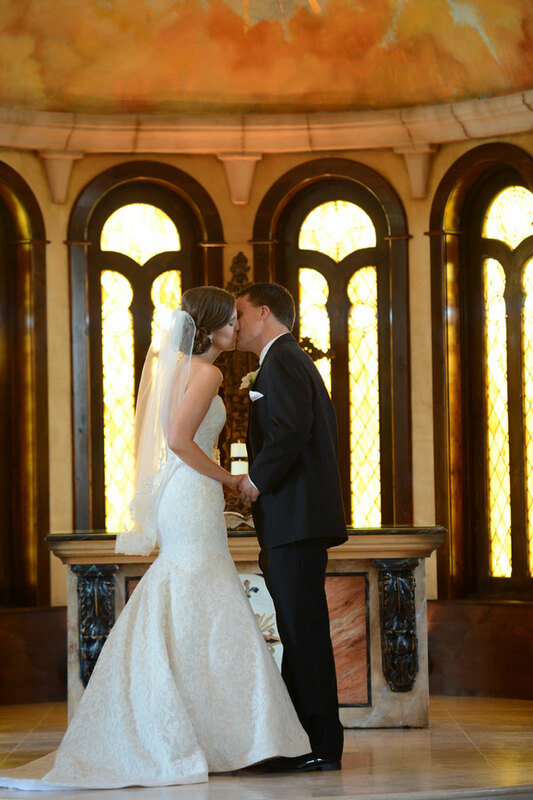 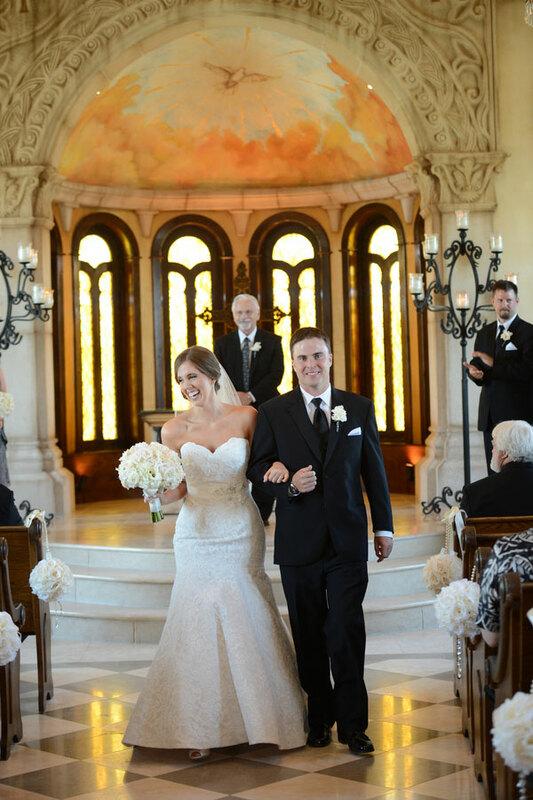 Bella Donna Chapel is just simply breathtaking – no where in Dallas can even compare to the beauty of that chapel. 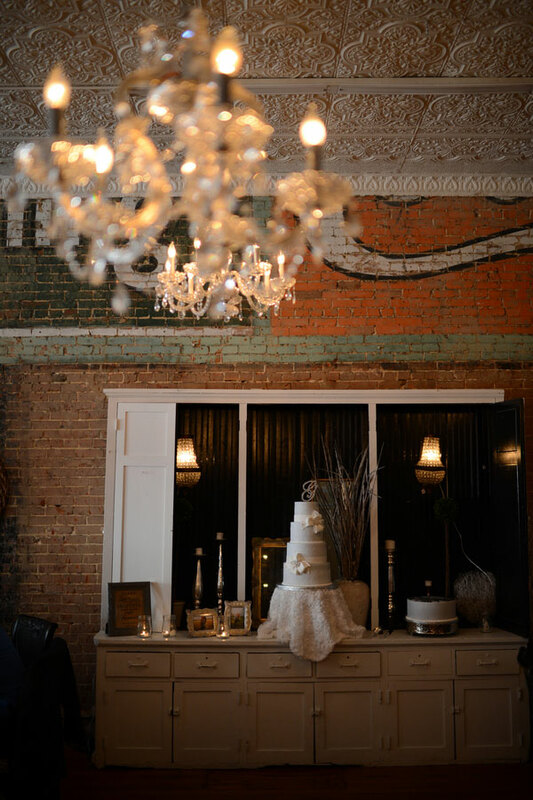 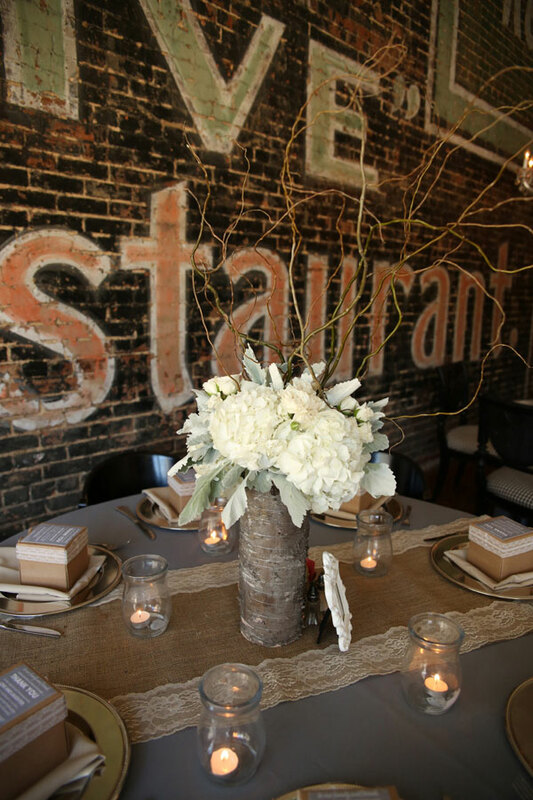 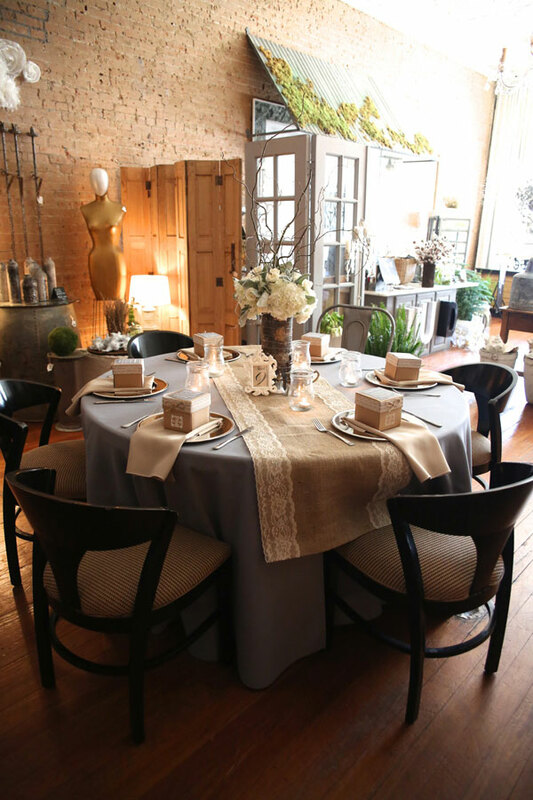 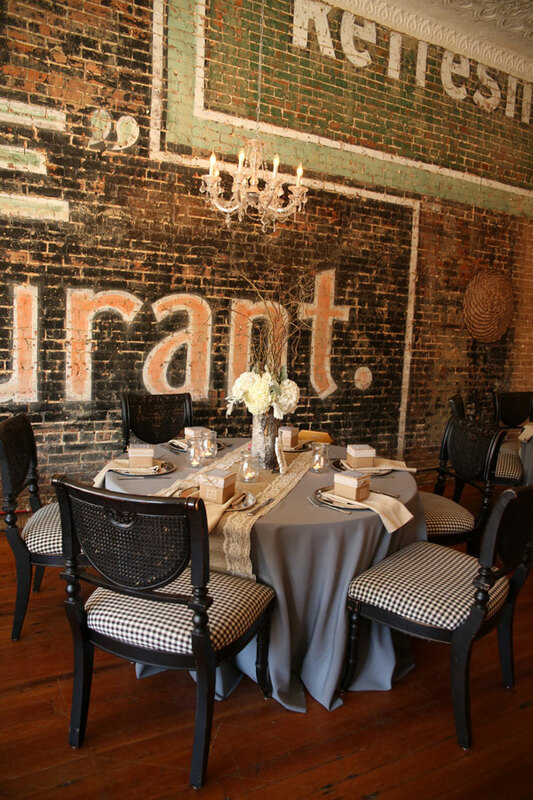 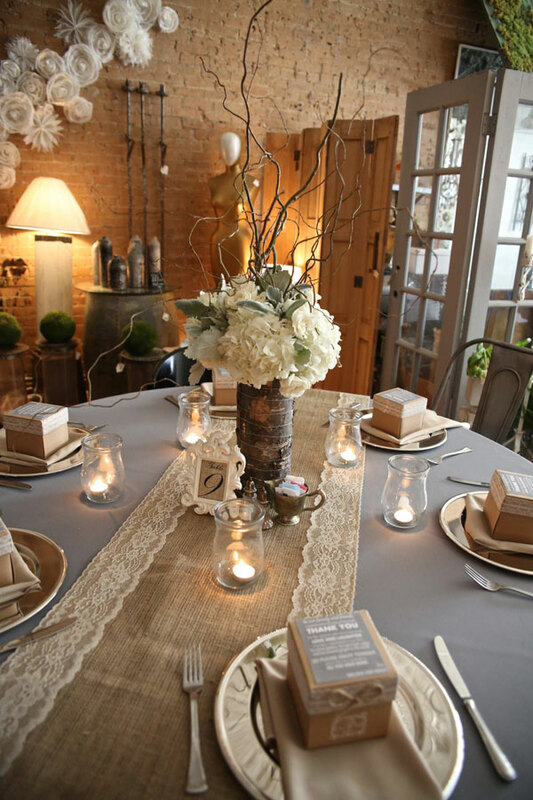 Gather in Downtown McKinney is a hidden gem – it was such a unique venue that PERFECTLY fit the overall theme and feeling that we wanted to create for our guests. 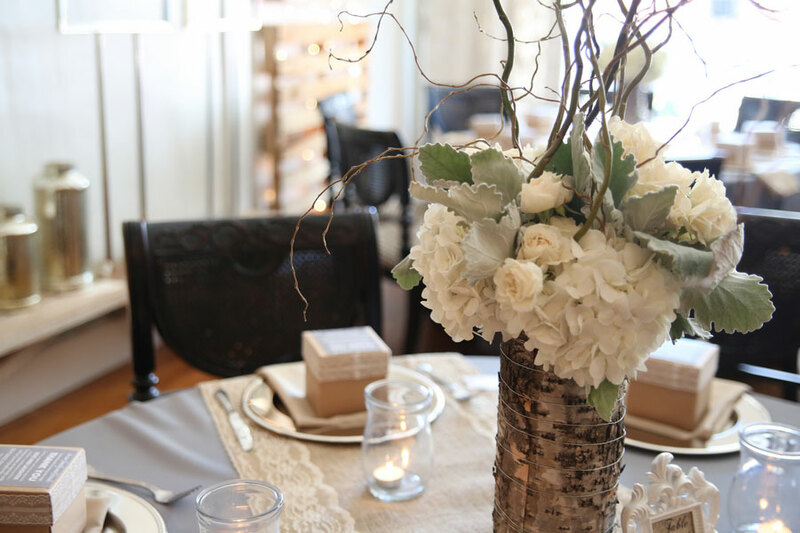 The venue has so much decor already included, and all of the decor perfectly matched my style and overall color theme for the wedding. 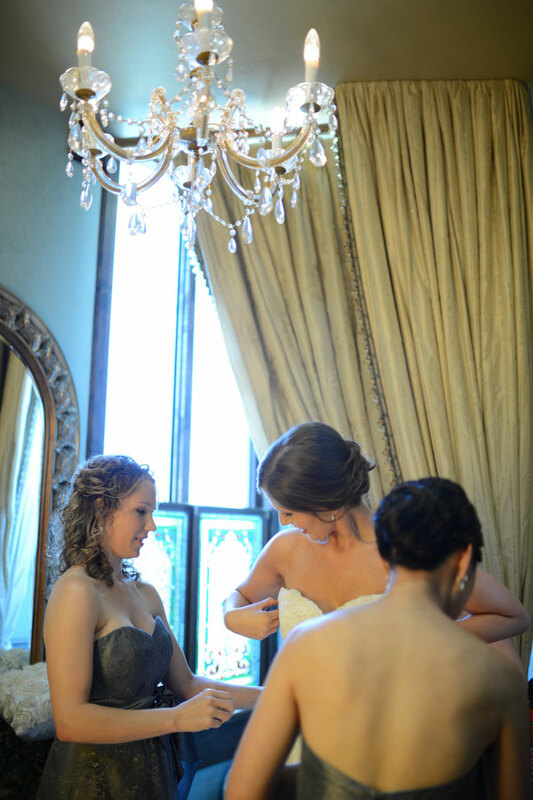 I was VERY much a DIY Bride! 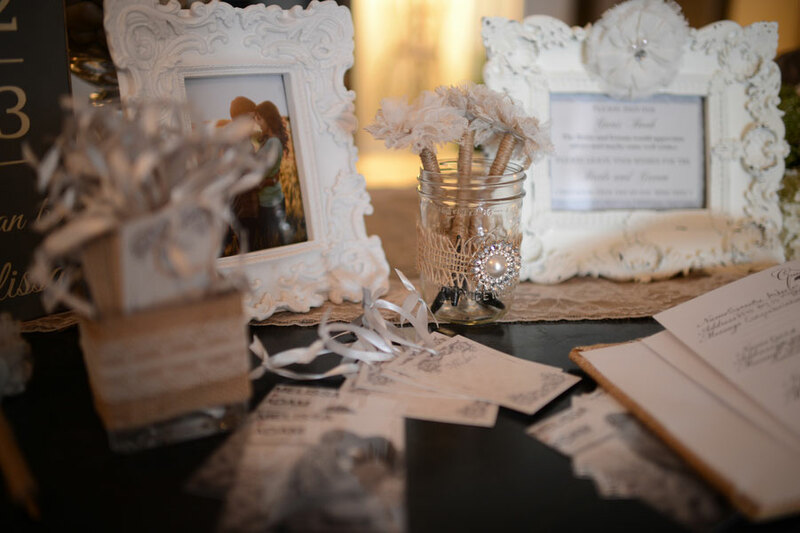 Most of my inspiration came from Hobby Lobby and Etsy. 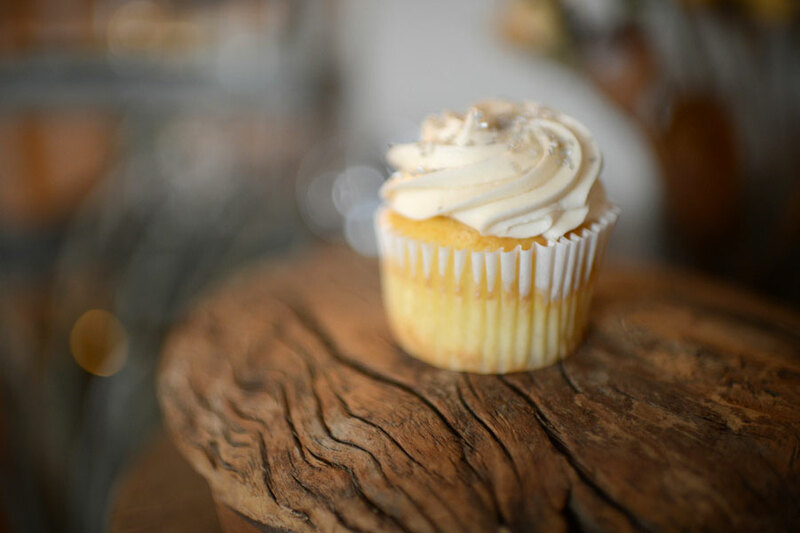 My mom did help me somewhat in assembling the cupcake favor boxes, but for the most part – it was just me! 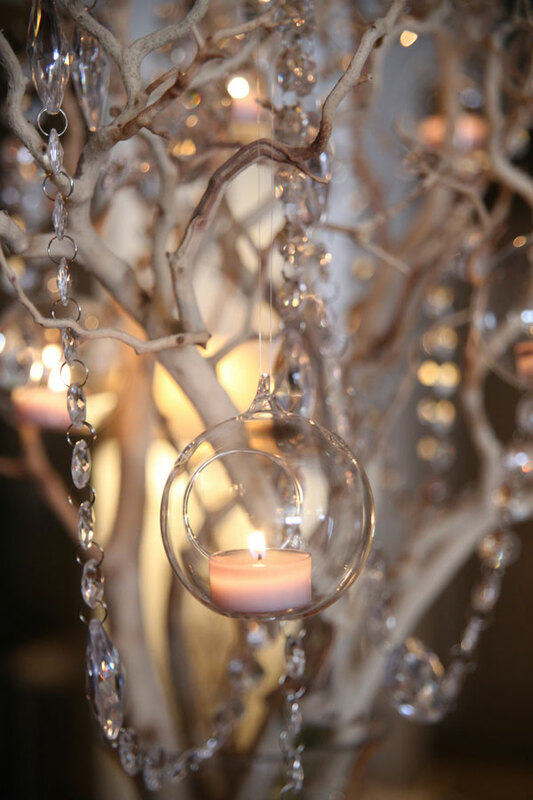 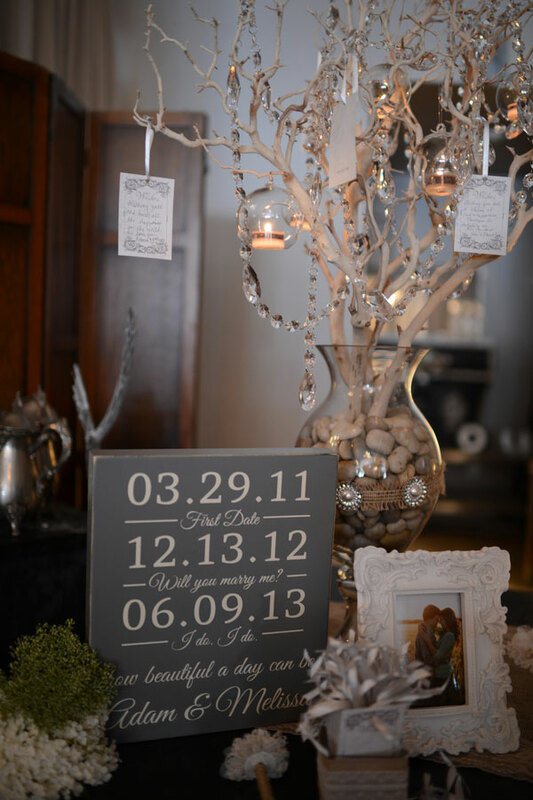 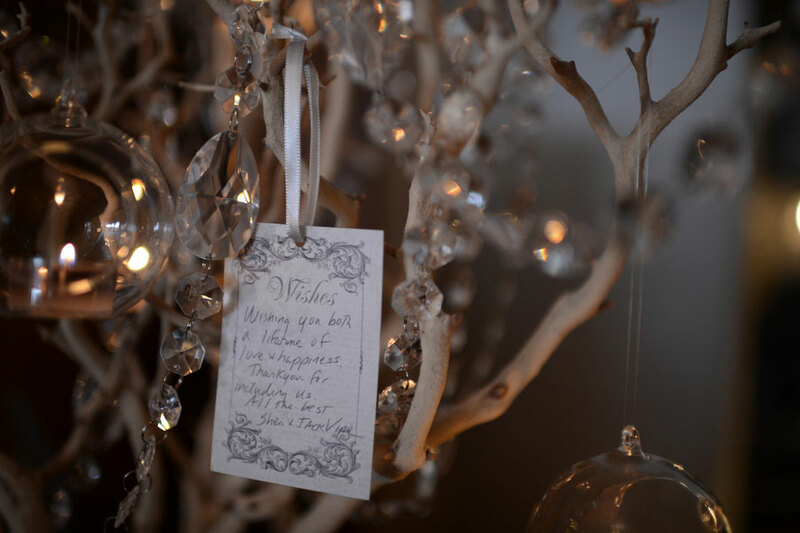 Probably two of my favorite touches at the reception were 1) the wishing tree and the wishing tree tablescape – it was just so unique, eclectic and beautiful at the same time! 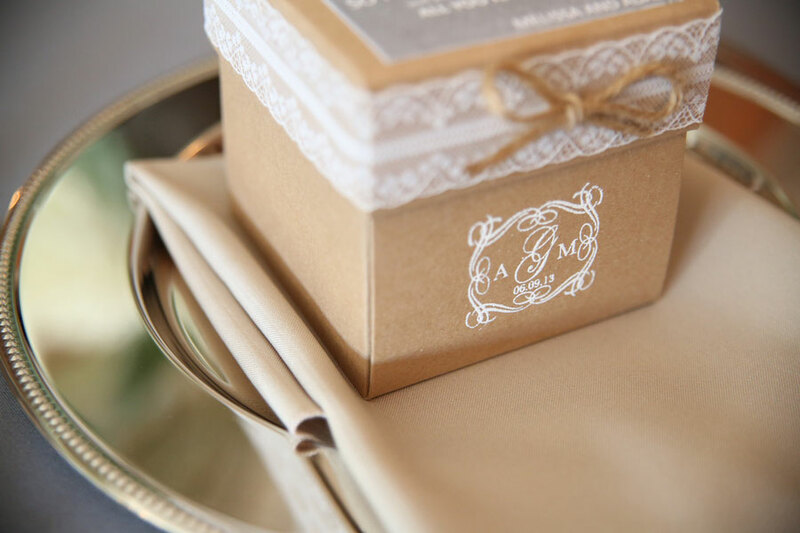 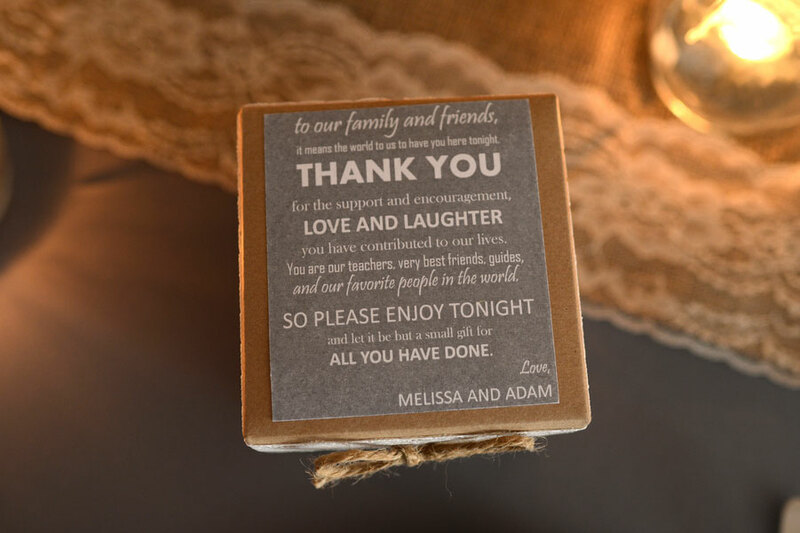 My second favorite special touch for our reception was the wedding favors I made for our guests. 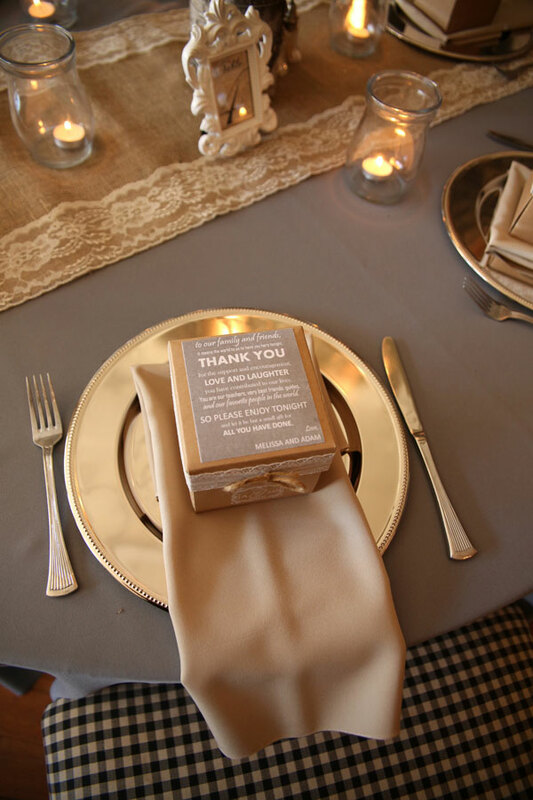 Each guest received a cupcake as their favor, but I hand decorated each cupcake box, and included a very special “thank you” to all of our friends and family that were able to join us in celebrating our special day!